The 7500FO (fiber optic) pulse oximeter is specifically designed for MR environments. The compact 7500FO features simple functionality, minimum 16-hour battery life, 4-hour quick recharge, and a minimum of 70 hours of memory. 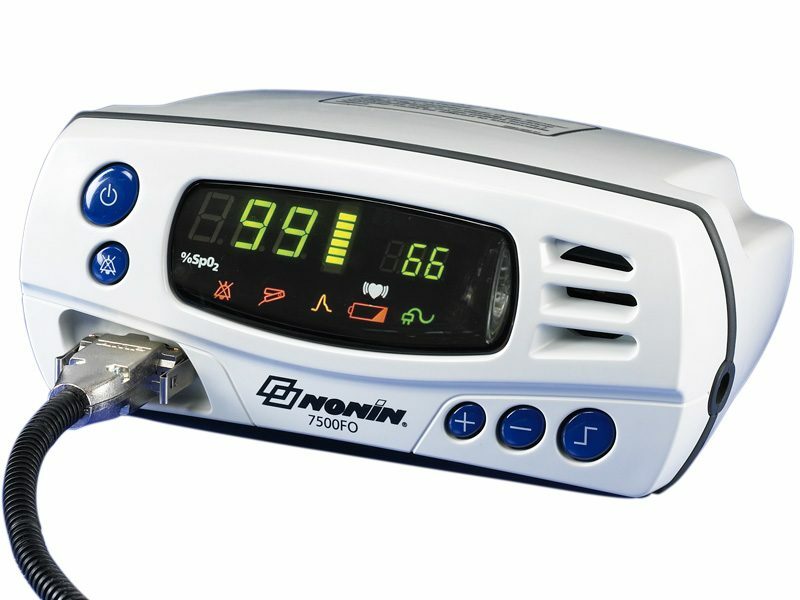 Like all Nonin portable oximeters, the 7500FO provides reliable readings and a wide variety of display indicators. It can be used in fixed-site or mobile MR facilities for monitoring infant, pediatric, and adult patients.